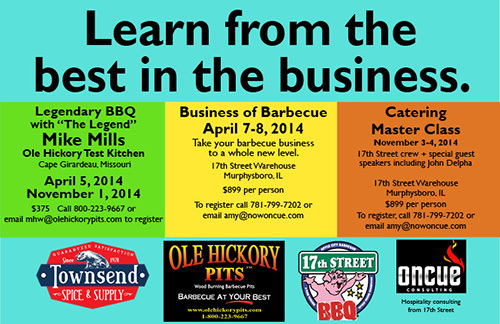 We have just a few spots left in our April classes at Ole Hickory Pits followed by Business of Barbecue in Murphysboro. Whether you’re a seasoned pro or just getting started, these seminars are sure to teach you valuable tips and tricks of the trade that will help your business soar. Call us today to learn more! 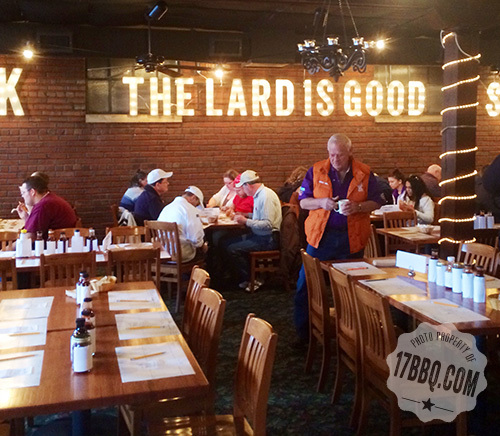 Each January we oversee and administer the National Barbecue Association Awards of Excellence judging. Hundreds of boxes of products arrive at the 17th Street Warehouse and Samantha Graff, an integral member of our pit crew, unpacks and organizes each entry. 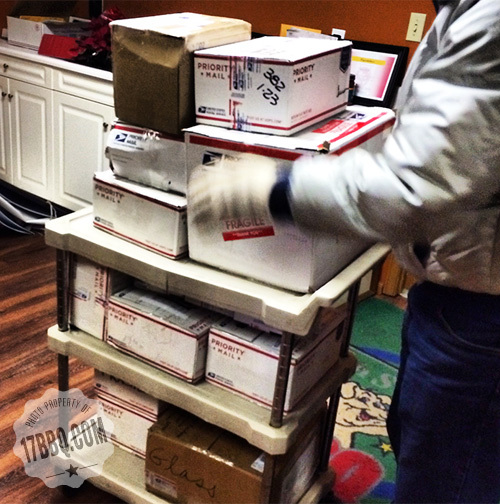 As you can see by the photo above, many people take advantage of that “if it fits, it ships” option with the USPS. Sadly many neglected to use packaging material, as well, resulting in an unprecedented number of broken bottles. Interestingly, almost every broken bottle was plastic, not glass. 1. Kindly do NOT use a box that is too small. Please wrap each bottle separately with bubble wrap and then add more packing material or bubble wrap around the empty spaces in the box. 2. Read the instructions carefully. Send the proper number of items requested for judging. So many people did not send the required number. 3. Don’t make up your own category; it will not be judged. For example, there is no “garlic barbecue sauce” category. If you’d like to suggest a new category, write the National Barbecue Association a note and we’ll consider that for the following year. 4. Get your entry in on time. We have a flurry of last-minute entries each year and that creates extra work and chaos for us as we try to unpack, re-label, and take care of paperwork the day of the judging. 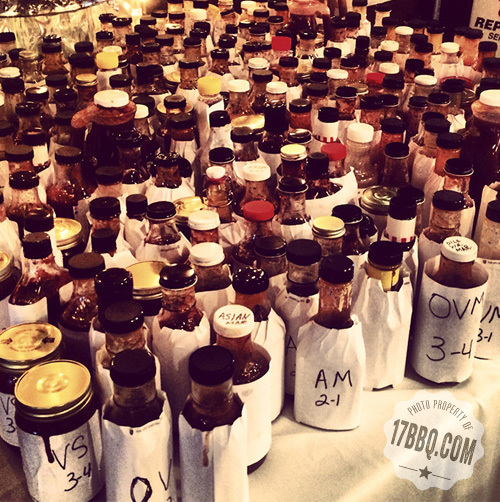 Here are hundreds of sauce bottles re-labeled and coded for judging. We do the same with the rubs. 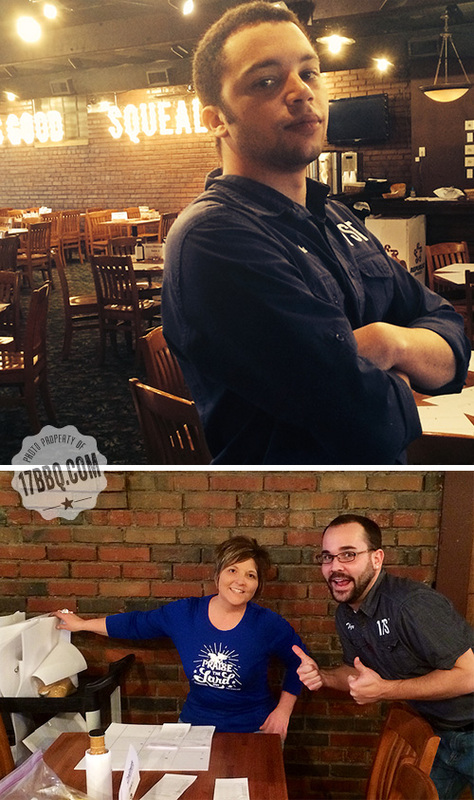 Mike, Sammi, Tyler, and Cassidy are setting up the room and preparing to welcome the Rend Lake Culinary program students who will be the judges. 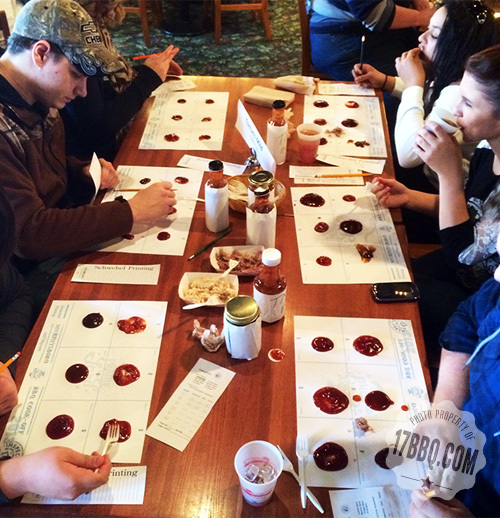 We provide unseasoned pork and chicken with which to taste the sauces and the students diligently and thoughtfully judge all entries. Sammi and Tyler are all smiles as the set-up is almost complete. 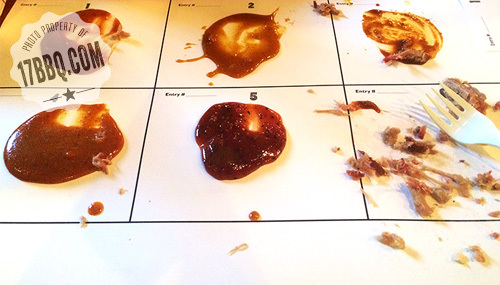 We use the same placemats and table system as we use for our barbecue contest. Mike and Phillip are preparing to greet the students. 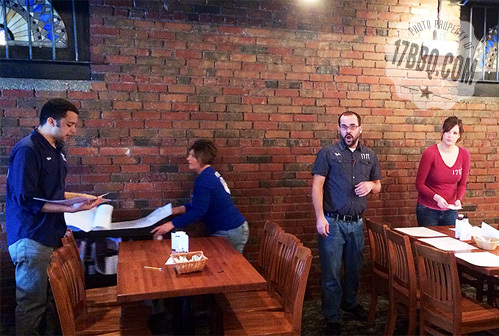 Mike starts off the event by telling them about NBBQA and stressing the importance of the task at hand. The judges take their job very seriously. Sauce categories are Tomato Mild, Tomato Spicy, Fruit Mild, Fruit Spicy, Vinegar Mild, Vinegar Spicy, Hot Sauce, Marinade Asian, and Marinade Mustard. 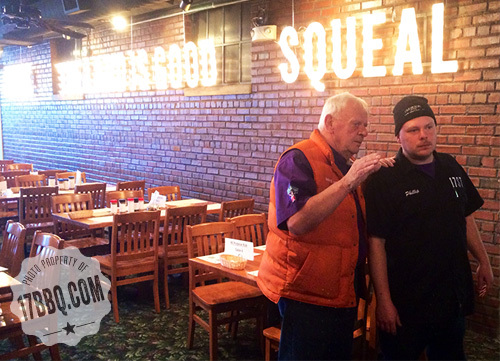 The students and their instructors love being part of this process and it allows us to have a big field of culinary-minded and impartial judges. There are also several dry rub categories, condiments, best book, label, menu, t-shirt, and more. 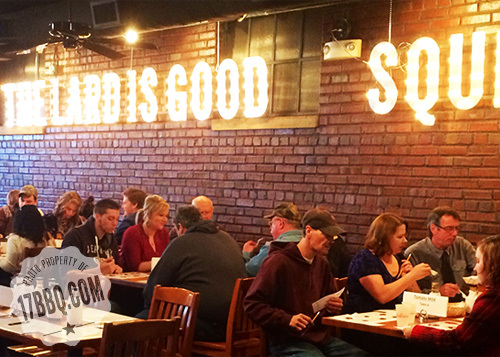 We judged almost 700 entries. 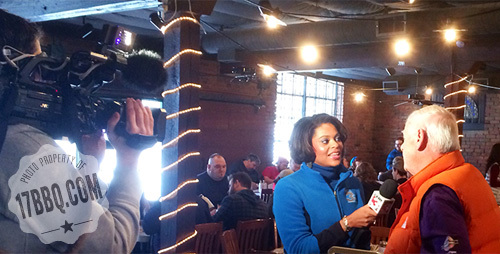 Local television station WSIL joined us to report on the process. 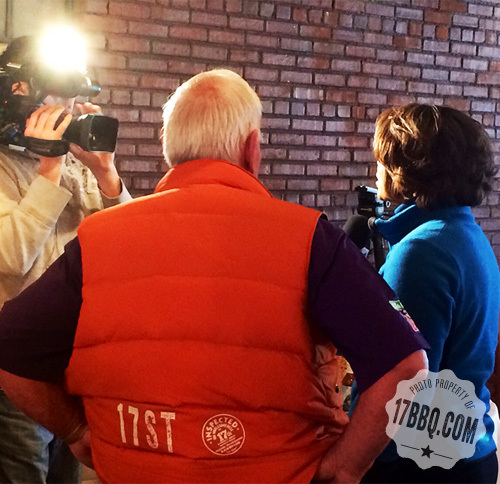 Awards were announced today at the National Barbecue Association convention in San Marcos, Texas. If you’ve won this contest in the past, did the award help you market your products more successfully?